“Just before I was slated to start the eye exams, Quinton Lumpkin appeared on the scene and motioned for me to follow him. He found an empty room, then told me he had borrowed the colorblindness tests for a few minutes so that I could memorize the correct numbers on them and not make any mistakes when I took the exam. 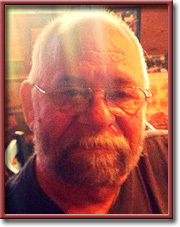 This approach worked perfectly, and I passed the physical with flying colors, so to speak.”—By William A. 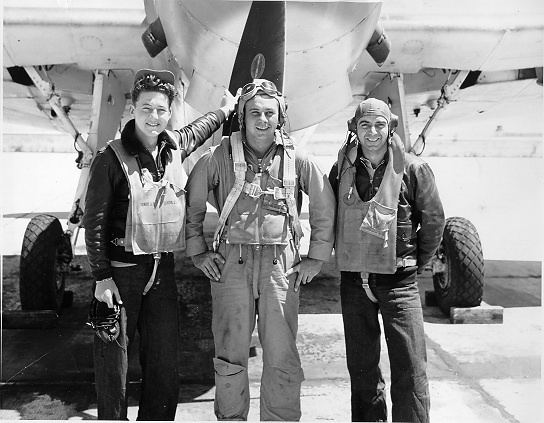 Balk, Sr.
“Colorblind Pilot,” Willie Balk (center), with Radioman Jim Edinger and Gunner Ed Pagnotta. This memoir is the result of much prodding and a lot of help and support from all the members of my family and the family of my wartime good friend, Jack Chrystal. 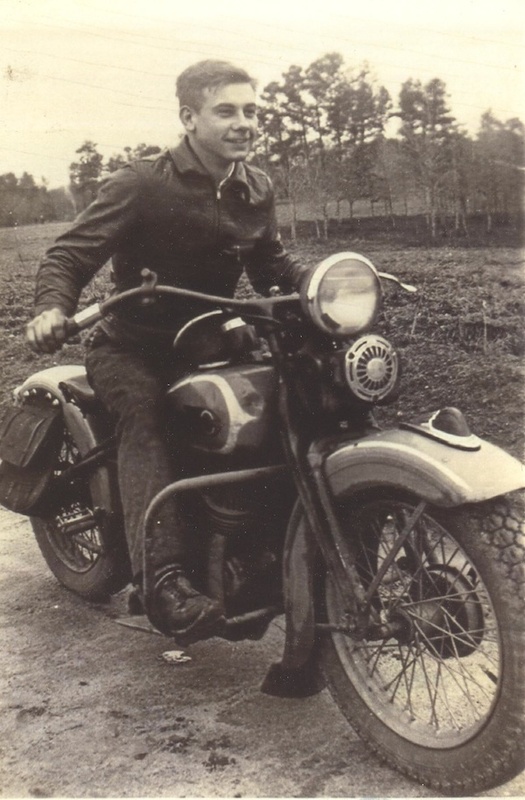 After Jack’s untimely death in 1980, his daughter, Sharyn Chrystal Vogel, realized that the members of our two families, as well as many of the men and women of her generation, had very little firsthand knowledge of their parents’ lives as shaped by the events of World War Two. She urged me to get busy and write up my impressions of those years. Several years later, after much cajoling from Sharyn and my two daughters, Peggy and Libby, I decided that time was fast becoming of the essence. If it were going to be written at all, I would have to get moving. My three sons, Will, Erwin, and Ted, although not as loquacious as the ladies, strongly encouraged my efforts, as did Jack’s wife Erla, who has always been very supportive and helpful. I started in the middle, so to speak, with what I called Section II, which begins with the shakedown cruise of our ship, the USS Marcus Island, rather than Section I because it seemed more important. If time ran out, I would at least have that part completed. At this writing, I am still working on Section I, which will cover the time from the Pearl Harbor attack until the time that Composite Squadron 21 reported for duty aboard the USS Marcus Island. 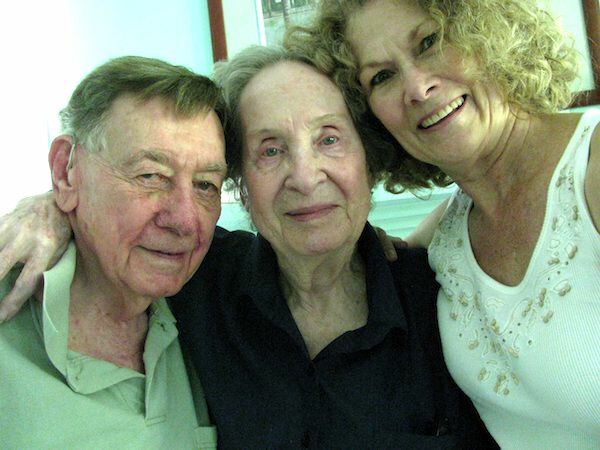 Bill and Betty Balk with Sharyn Chrystal Vogel, c. 2005. At the time of the attack on Pearl Harbor, I was working, more or less as a flunky, for Wheatly and Mobley Construction Company in my hometown of Augusta, Georgia. They had a contract for erecting a four-story, steel frame, masonry building at the Augusta Arsenal to house an optical instruments repair facility and several other structures for the Army. A few weeks after Pearl Harbor, the Army Air Corps lowered eligibility requirements for aviation cadets so that high school graduates could qualify: prior to this time, two years of college had been the minimum. I decided to see if I could qualify. I took a day off from the job and reported to the medical unit of the Air Corps recruiting facility, located at Daniel Field, arriving at about 8 a.m. along with five or six other guys with the same purpose in mind. We were allowed into a small waiting room in a wooden barracks-like building and were told that the officer in charge would be along shortly. About 30 minutes later, a goofy-looking guy in horn-rimmed glasses and carrying a briefcase and an arm load of mail came in, ignored us, and tried to open one of the office doors adjacent to the waiting room. It wouldn’t open, so he started fumbling for his key, then dropped about half his packages. He felt around in his pockets for a while and then just stood there and glared around the room at us. I swear I didn’t laugh out loud but I did ask him if he wanted to get in the door. He snorted a hell yes, and started to leave as I got up and walked toward him. I asked if he minded if I tried to open the door. He just stood there with his mouth open; then moved back. As it turned out, this was only a preliminary medical exam and it didn’t take long for them to check us out once the doctor (yes, the doctor was the fellow wearing horn rims, the fellow who had forgotten his key) got his crew started. I did OK until we got to the eye test. This was Doctor Horn Rim’s specialty and he was waiting for me. I scored a 20/20 on the eye charts and almost perfect depth perception, but he got me on the color charts. I called one number a 5. He said it was a 6, and therefore I was colorblind and not eligible for the aviation cadet program. I could go on and sign up for the infantry if I wanted to, but I would never qualify for the Air Corps. I responded to his generosity in an appropriate manner and walked out. About six months later, we had finished the Arsenal job and moved on to Charleston with a contract to build about 40 barracks for the port of embarkation there. By then, I had become the person in charge of managing the payroll for the workers on the project. We had between four and five hundred (the turnover was pretty rapid) skilled and semi-skilled employees. Since I was only 19, I could not be bonded, and therefore I couldn’t sign checks. One of my helpers was a convicted felon (bank fraud) and that didn’t help matters much either. This meant that Brad Bennett, as project superintendent, was the only person authorized to sign checks. One of the clauses of the contract with the Army was that we were free to fire anybody at our discretion, but we would have to pay him for all time until the moment we handed him his check. With our rapid turnover and only one check-signer (who was seldom on hand), this created a real cost control problem. Brad solved this in his usual straightforward way. 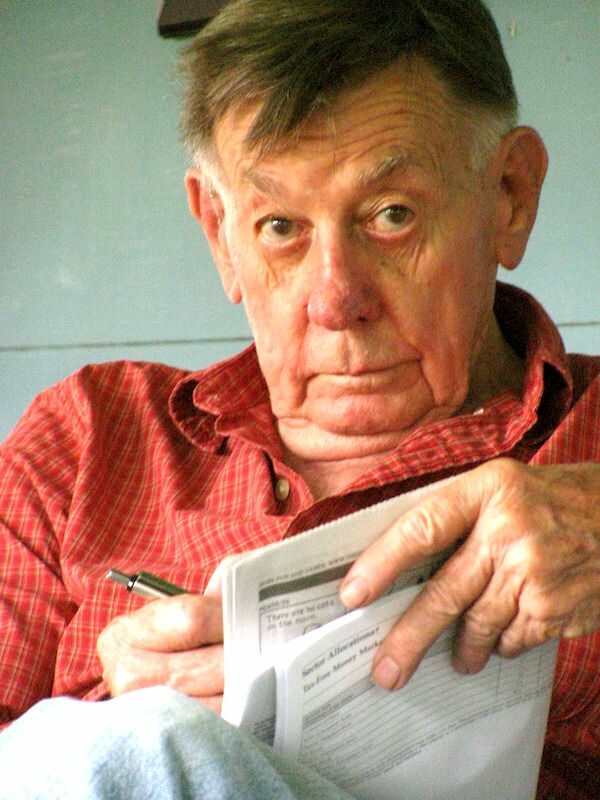 First thing every morning, he signed a day’s supply of blank checks and turned them over to me. Brad didn’t know it, but if I had to leave the office I turned them over to Jimmy the ex-banker who was in charge of figuring the amounts owed. This system worked without a hitch, at least up till the time I got restless and decided to join the Navy. Willie Balk eagerly riding towards his greatest adventure. By mid-summer of 1942, the war was heating up all over the world and I was beginning to worry that it might be over before I had a chance to get in. My employers assured me that as long as I stayed with them I’d never have to worry about getting drafted but, at the moment, construction work just seemed too dull. As this project was winding down and the next was to be in North Carolina, I decided it was time to bail out. I resigned, took a week’s vacation, and checked in with the Navy recruiters in Augusta. By then I had given up on the idea of flying and planned to take whatever they offered. By chance, I chose a day when Quinton Lumpkin, a recent University of Georgia football star and now a Navy Recruiting Officer, was in Augusta pushing the Navy’s Aviation Cadet recruitment program. Quinton offered me a free overnight trip to Atlanta if I signed up because that’s where they were giving exams. I was tempted to take the free trip even though I knew I would flunk the eye test, but my conscience won out. When I told him about the Air Corps colorblindness test, he wanted to know if I too thought I was colorblind. When I said no he asked me to identify the colors of some red, green, yellow, and blue objects in the room. Since I had no trouble with this, he decided I wasn’t colorblind and that he would make arrangements for me to make the Atlanta trip. I figured I would flunk the Navy test anyway because it was notoriously harder than the Army Air Corps at the time, but I’d get a chance to tour some of the Atlanta hot spots at the Navy’s expense. Two weeks later, I was in the Big City sharing a room with another potential cadet in one of the best hotels in town. At that time, the Navy believed in trains instead of buses and since it took the Georgia Railroad “Express” train all day to go from Augusta to Atlanta, we wound up spending three nights in Atlanta instead of one. On the way up and again on the return trip, as our train delivered newspapers, picked up milk cans, eggs and chickens, stopped to shoo cows off the track, and pulled into an intermediate station for a leisurely lunch, we generally enjoyed a very relaxing trip. The first day was devoted to the most thorough physical exam I’ve ever had, before or since. I think they sincerely wanted to find out if we had the potential to become really good Navy pilots, although I don’t think they expected all of us to reach Blue Angel capability. They did want the potential to be there before they began to invest the time and effort it was going to take to get us trained. Just before I was slated to start the eye exams, Quinton Lumpkin appeared on the scene and motioned for me to follow him. He found an empty room, then told me he had borrowed the colorblindness tests for a few minutes so that I could memorize the correct numbers on them and not make any mistakes when I took the exam. This approach worked perfectly, and I passed the physical with flying colors, so to speak. Since I passed I would have to take the written exams the next day. Carousing all night was now out of the question. On top of that they dilated our eyes so that we couldn’t even go to a movie. The two written tests took about two hours each and were mostly multiple choice. One dealt with mechanical aptitude and the other involved a great deal of math and science and, fortunately for me, very little history, literature or language. When I left Atlanta I felt confident that I would soon be notified that I had been accepted into the V-5 Aviation Cadet Training Program. Prior to this occasion, I had never met Quinton Lumpkin, nor have I seen him since, but I am deeply grateful for his kindness and generosity. Without his intervention, this Georgia Cracker would never have become a colorblind Navy pilot.